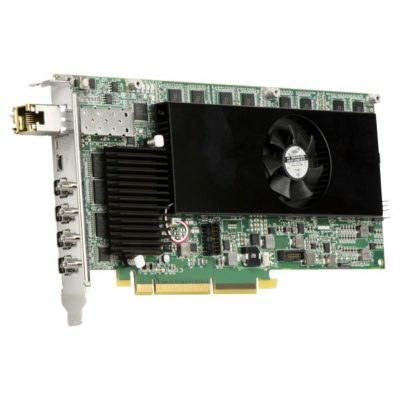 Best-in-Class Quad KVM Optical Extender. 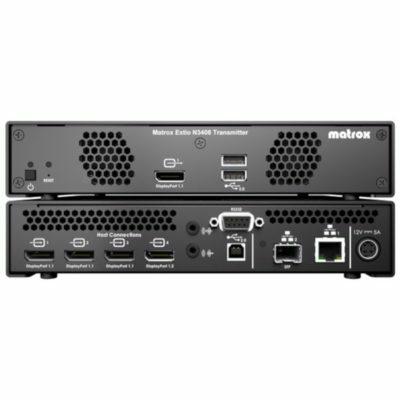 The Matrox Extio F2408 point-to-point, KVM extension solution separates the keyboard, mouse, audio peripherals and up to 4 displays from the rest of the computer by up to 1 km (3280 feet) via fiber-optic cable. Best-in-Class Quad KVM Optical Extender. 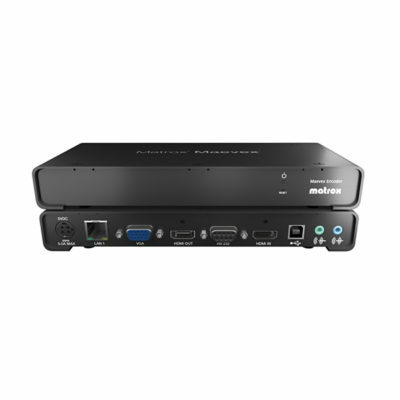 The Matrox Extio F2408 point-to-point, KVM extension solution separates the keyboard, mouse, audio peripherals and up to 4 displays from the rest of the computer by up to 1 km (3280 feet) via fiber-optic cable. 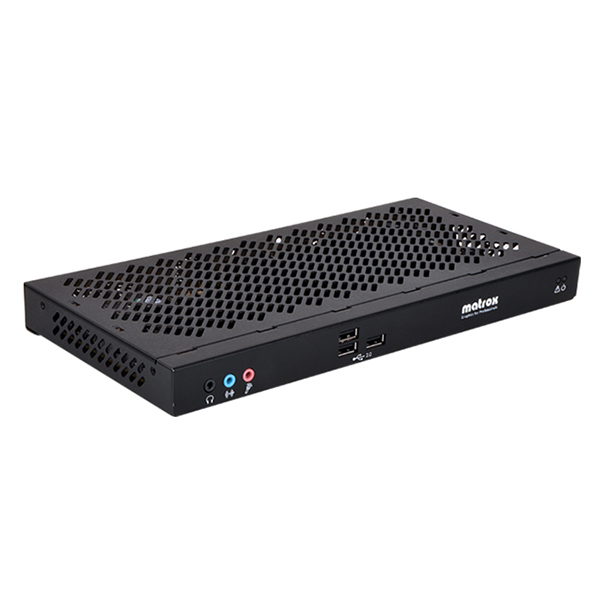 The fiber-optic connection allows raw, uncompressed data to travel between the remote host system and the user-side Extio F2408 appliance, resulting in unmatched HD resolution support and uncompromised workstation performance. Designed for industries requiring stable, reliable, and scalable graphics, the Extio F2408 also allows room for expansion. Combine it with the optional Extio F2408E Expander to drive even more mission critical displays – up to 8 in all, with a maximum resolution of 2560×1600 per display and this all from a single workstation, fiber-optic cable, and adapter.